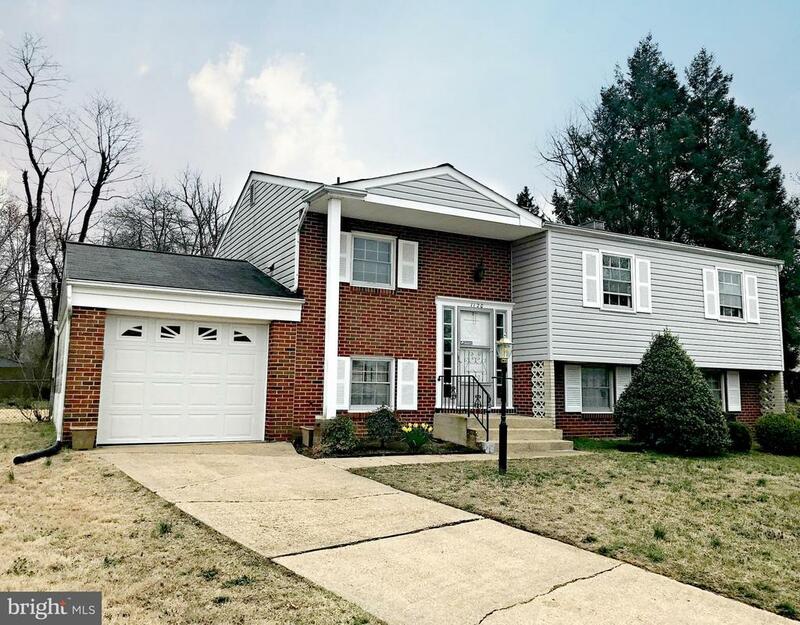 There is so much room in this well cared for split foyer with oversized garage located at the end of a cul-de-sac in a lovely neighborhood just off of Annapolis Road. Inside, you will find hardwood floors throughout the main level and lots of bright light in the living and formal dining areas. The dining area has access to your rear deck, perfect for sitting with your morning coffee! The quaint kitchen and breakfast room features a charming pass-through to the dining area. Down the hall, you will find three generously sized bedrooms and a lovely full bath as well as a handy laundry chute. As you make your way to the lower level, you will find two additional bedrooms, a large utility room, laundry room, and a spacious recreation/family room with sliders to the rear yard & a cozy brick fireplace. This lovely home has so much to offer! Make your appointment to see this gem today!